“I’ve signed a two-year contract with Tinkoff-Saxo. I’m really impressed by Oleg Tinkov’s project. It’s the best team in the world, and I’m proud to be a part of that." Tinkoff-Saxo have significantly bolstered their stage racing roster by confirming the rumoured signing of Ivan Basso. The veteran is set to play a key role in next year's Giro d'Italia and will be riding for the team until the end of the 2016 season. Tinkoff-Saxo is proud to officially announce that Ivan Basso will join the team in 2015. The Italian star and Tinkoff-Saxo have signed a two-year contract sharing the ambition of further bolstering the team for the next seasons. 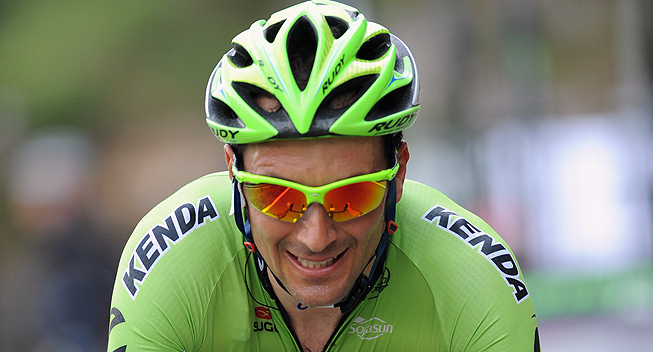 Ivan Basso will add both strength and experience to the team as one of the greatest Grand Tour riders of a generation. “With Alberto, Peter, Rafal and now Ivan we will become the number 1 team. I have always liked Ivan; he was at lunch with me in 2007 as I would have liked him to be with my team already then. Now I’m happy to have him in our team because I know how serious and dedicated he is. I believe that he can be an important asset for conquering the Pink Jersey at Giro”, says team owner Oleg Tinkov. Ivan Basso will become an important part of Tinkoff-Saxo’s 2015-squad bringing with him his great understanding of the sport. The 36-year old Italian is excited about making the move. “I will start from scratch with the determination and desire of a new professional, but with the head and experience of a veteran”, adds Ivan Basso.